The summer before my freshman year in college, my friend Jimmy Miller invited me to go with him and his family to GenCon XVI, the major RolePlaying Gamers Convention in Wisconsin. I was digging through some old boxes the other day and found my program for the event which I used to collect autographs while I was there. 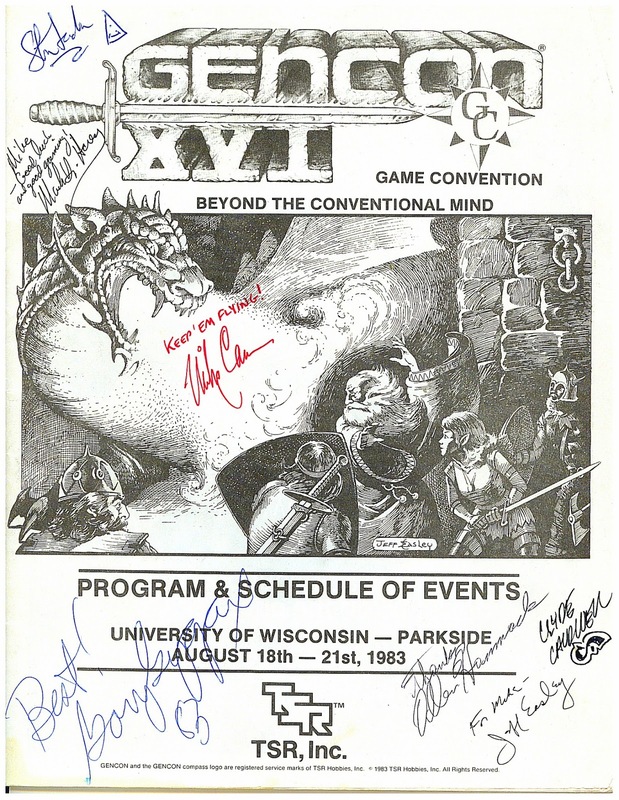 In the bottom left corner you can see that it was signed by the iconic Gary Gygax, creator of the Dungeons and Dragons roleplaying game.